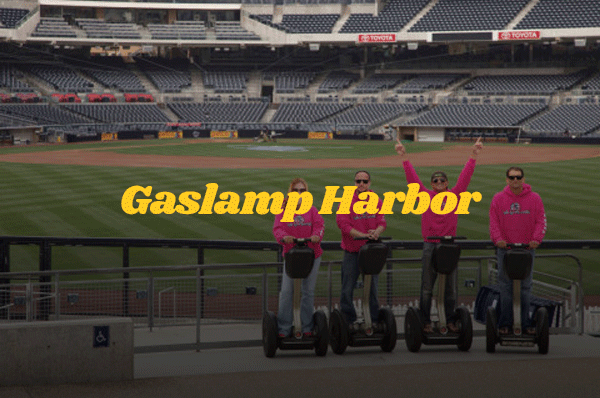 During your Gaslamp Segway tour, you’ll take in the amazing views of the magnificent timeless gas lanterns, Victorian-era buildings, Petco Park, the San Diego Convention Center, Seaport Village, Tuna Pier, the USS Midway, and many more of Americas Finest City’s attractions. 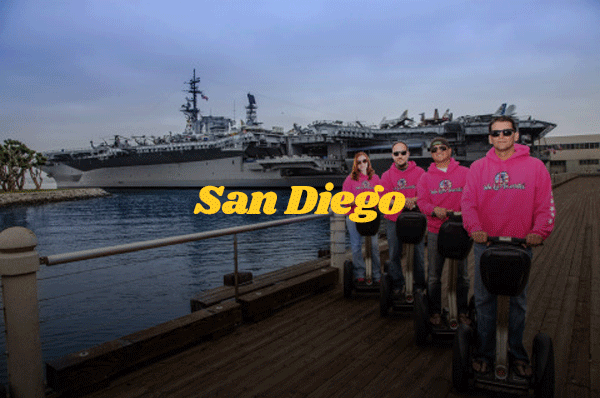 While gliding through the streets of beautiful downtown San Diego, you’ll explore and experience a Segway tour of the Historic Gaslamp Quarter and San Diego Port/Harbor like you have never encountered before. You’ll get up close and personal with some of the most beautiful artifacts and historical sites within the heart of the city. What more could you ask for? On this Gaslamp Segway tour in San Diego, you’ll take in the beauty of the Victorian-era buildings, and see how our city has preserved these historic sites. You’ll roll through the “Park at the Park” at Petco Park, the proud home of the San Diego Padres, and see and learn about the brand new and stunning San Diego Central Library, the San Diego Convention Center, and Seaport Village. You’ll whirl by the public art at the San Diego Port, be able to visit Tuna Pier, and see the infamous USS Midway. All of this, and many more timeless features of what downtown San Diego has to offer will be experienced in a fun and unique way that no other tour can offer. As experts, it’s our mission to provide you with an amazing adventure that you’ll remember forever. That’s why we have the most experienced and friendly tour guides around. Whether you live in San Diego or are visiting America’s Finest City, this Gaslamp Segway tour is sure to teach you interesting facts about the history and modernization of a city that has deservedly earned its reputation for being one of the top tourist destinations in the country. For more information on our Gaslamp Segway tour in San Diego or to reserve a spot, contact us at 619-512-3491 or fill out the form below! 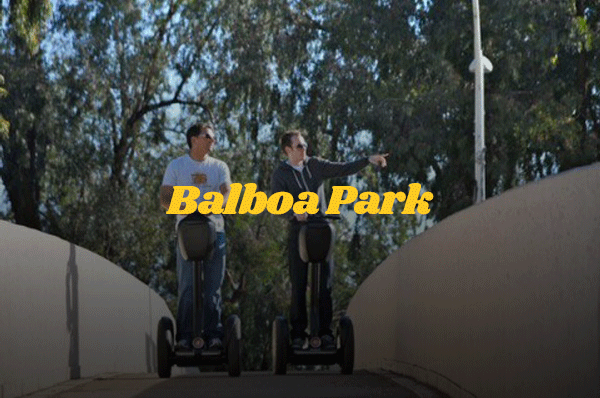 Glide through the nation’s largest urban cultural park. Home to 15 major museums, renowned performing arts venues, beautiful gardens.